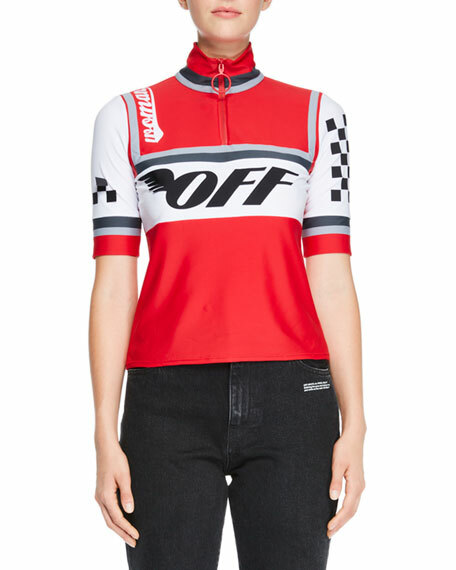 Off-White cycling-style top with racer-print. 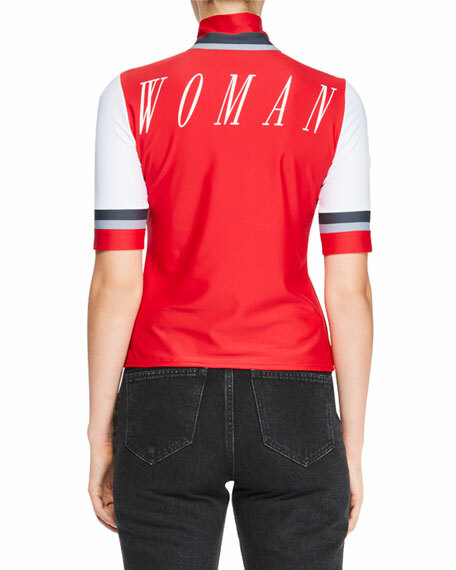 "Woman" graphic print across back. For in-store inquiries, use sku #2473198.